McCormick was born on February 15, 1809, in Rockbridge County, Virginia, to a blacksmith father who had invented several useful farm implements. Young McCormick received little formal education but acquired mechanical skills in his father’s workshop. In the early nineteenth century, harvesting grain was a labor­ intensive activity. Inventors in England and the United States (including McCormick’s father) had made a number of failed attempts to construct a machine that would collect the grain more efficiently. In 1831 McCormick approached the problem, devising a two ­wheeled, horse­ drawn vehicle with an apparatus for reeling in the stalks and a vibrating blade for removing the grain. He obtained a patent for the reaper in 1834. At that time McCormick concentrated on his father’s iron foundry, which was in financial straits, and his invention remained unexploited. He returned to it when the foundry failed in 1837, improved it, and by 1844 had sold 88 machines. McCormick moved to Chicago, Illinois, in 1847, convinced that the fertile soil of the Midwestern states would become the hub of the world’s wheat production. With financial help from Chicago’s mayor, William Ogden, he opened a reaper factory and sold 800 in the first year. When his patent expired in 1848, rival manufacturers attempted to prevent renewal, and he was involved in a series of costly lawsuits. He was not granted a new patent. McCormick decided to beat his competitors by outselling them. He initiated an advertising campaign, and, traveling through the surrounding farming communities, he performed public demonstrations, gave out warranties, and extended credit to customers. By 1850 the McCormick reaper was the best­selling harvesting machine in the United States. In 1851 McCormick presented his reaper at the Great Exhibition of London and won the grand prize. Numerous international awards followed. By 1856 the machine was world ­renowned, and McCormick’s wealth was secured. McCormick’s factory was destroyed by the Chicago fire of 1871, but upon rebuilding, the business continued to grow. He died on May 13, 1884, in Chicago. McCormick’s invention contributed significantly to the development of modern mechanized agriculture and embodied elements incorporated into all subsequent harvesting machines. Later improvements included mechanized equipment for raking, twine­ binding, and swathing. The efficiency of McCormick’s reaper reduced the number of workers required to harvest grain. Grain production thus became less costly, grain farmers prospered, and bread became one of the most affordable foods in the United States. Grain output in the United States was concentrated in the prairie states, perhaps as a direct result of the introduction of mechanical harvesting. After the London exhibition of 1851, McCormick’s reaper enjoyed success in European grain fields. The machine was a vital part of an international agricultural revolution kindled by the industrialization of the late nineteenth century. In 1902 McCormick’s son became president of the International Harvester Company, a large prosperous corporation formed from the unification of his father’s company and other harvesting ­machinery businesses. The company no longer exists. J. I. Case bought its farm equipment division in 1986 and the truck business, a substantial part of International Harvester at that time, was reorganized as Navistar. 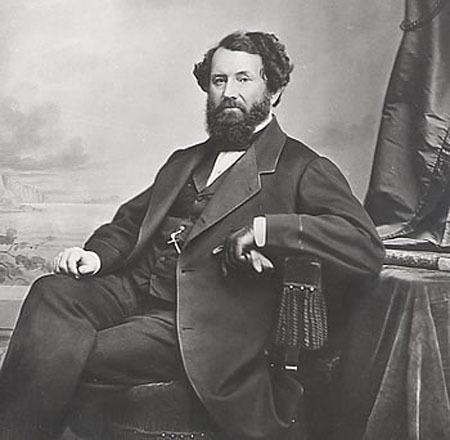 However, Cyrus McCormick’s invention still benefits every consumer of flour products; they are inexpensive and widely available thanks to the agricultural revolution he helped start.